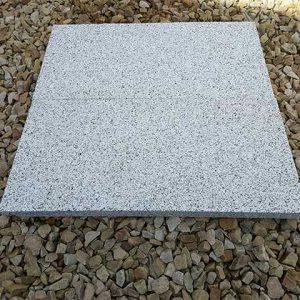 Searching for a paving stone that will brighten up the appearance of an outdoor living space or an outdoor area in a public or commercial facility? 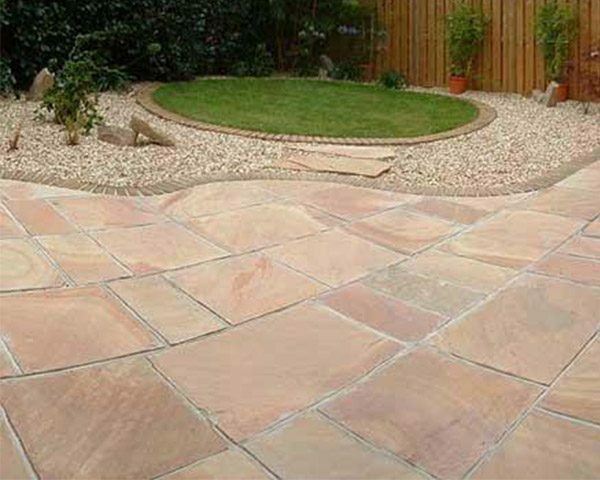 Our Modak Sandstone Paving Stone is an exquisite choice that is not only beautiful and bright but also cost-effective. 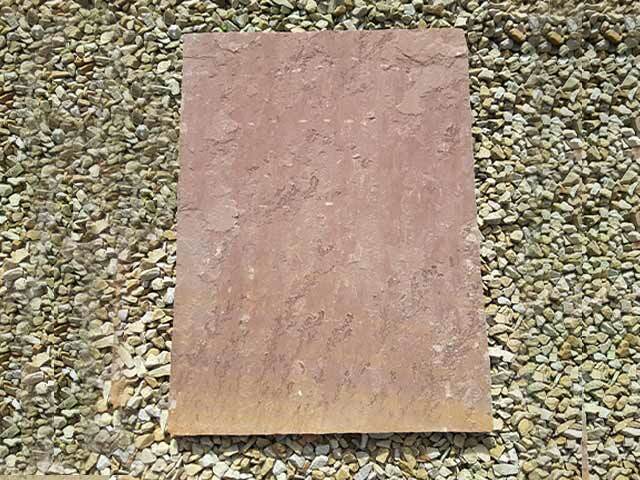 A nice combination of dark red and light terracotta colours, this paving will add bright colours to any back garden or paving area. 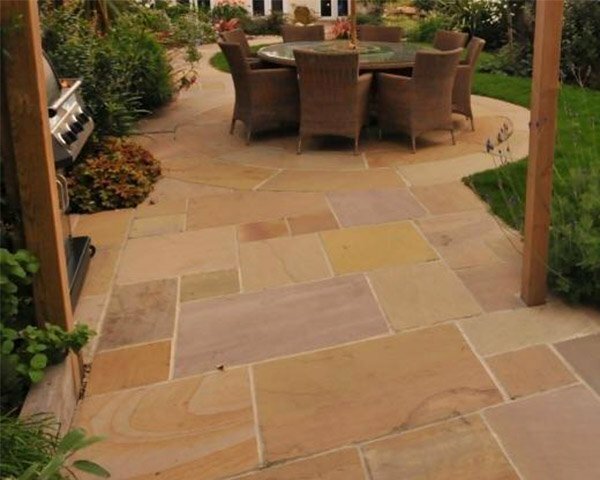 Modak Sandstone Paving Slabs are part of our collection of paving stones sourced directly from India. 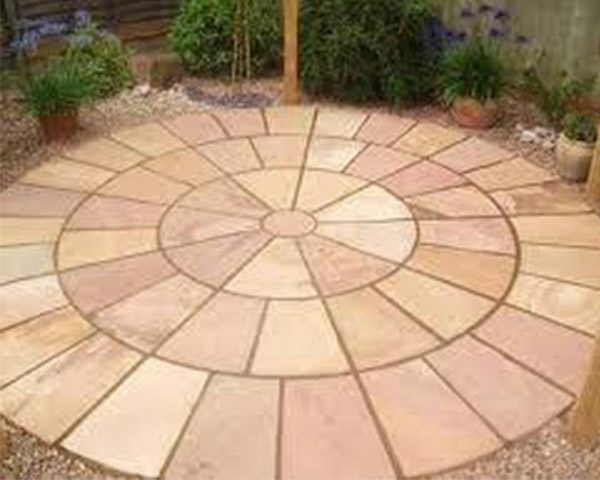 Modak is a unique stone that is incredibly vibrant with tones of terracotta, dark red, burgundy, orange and gold naturally present in the material. 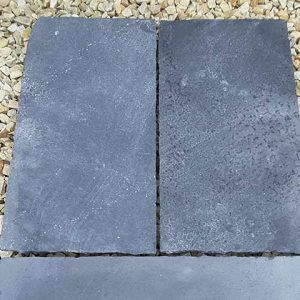 Its striking hues make this paving stone option very popular for patios, large garden pads and other paving areas that are meant to be both fashionable and functional. 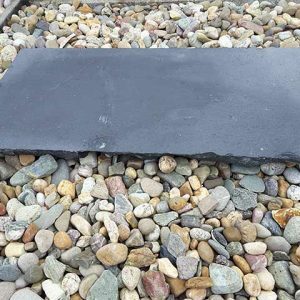 When you purchase this spectacular paving stone from Midland Stone, we’ll go to great lengths to ensure that you receive a nice assortment of colours in order to maximise the beauty of your project. Compared to some other varieties of sandstone, Modak Sandstone Paving Slabs have a high quartz content that gives it a very beautiful lustre that is simply dazzling when struck with light. 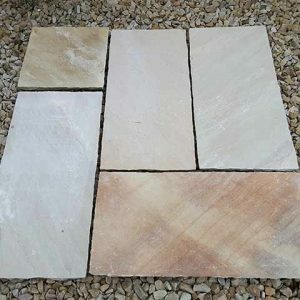 The high quartz content also makes the sandstone resistant to wear and tear, contrasting with some other varieties of the material like mint sandstone. 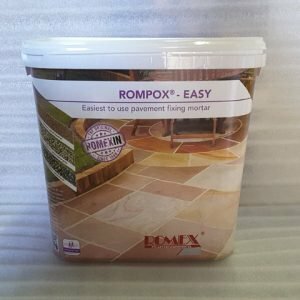 Ideal for use in exposed areas, the paving stone is resistant to frost and extreme temperatures. 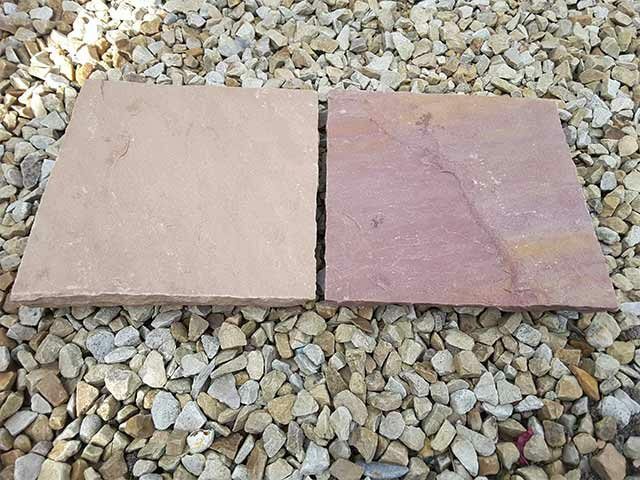 Midland Stone’s Modak Sandstone Paving Slabs are sold by the square meter and comes in batches with mixed sizes to allow for easy variation in stone sizes for paving application. 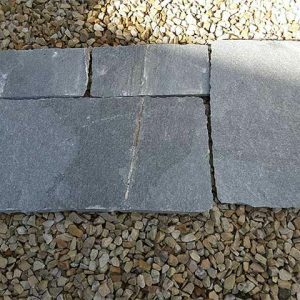 If your project requires paving stones that are only one size, we may be able to accommodate your request. 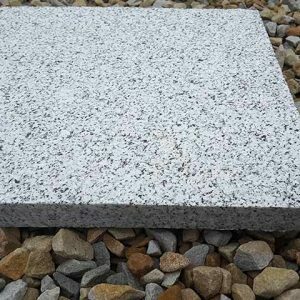 Please contact us by phone at 00353 86 385 2359 or email at bl@midlandstone.ie and let us know about the specifications for your project to see how we can help. 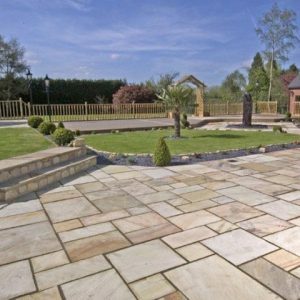 For assistance calculating the amount of stone needed for your project, please see our Online Calculator.